Cardiff Beauty Blogger - Sindyydoll ♥ Makeup - Welsh beauty blogger - British Beauty Blogger: #HillarysCrafternoon Craft Afternoon! 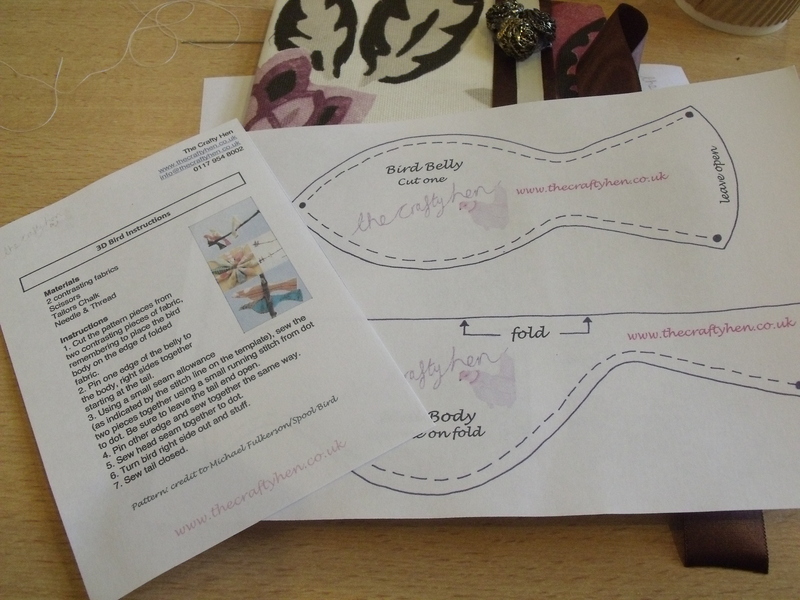 On the first of March I was invited to attend an afternoon with JoeBloggers, The Crafty Hen and Hillarys to learn how to create some exciting crafts using Hillarys blind fabric. I was excited to try something different and go to an event that was a change from beauty blogging and it was a refreshing afternoon to create something that I could use and take home! This event was held in Chapter Arts in Canton, Cardiff. I'd never been before but the building was beautiful and I had a shock to see how big the building actually was. If you haven't been here please do check it out, it hosts some local talent and live acts. 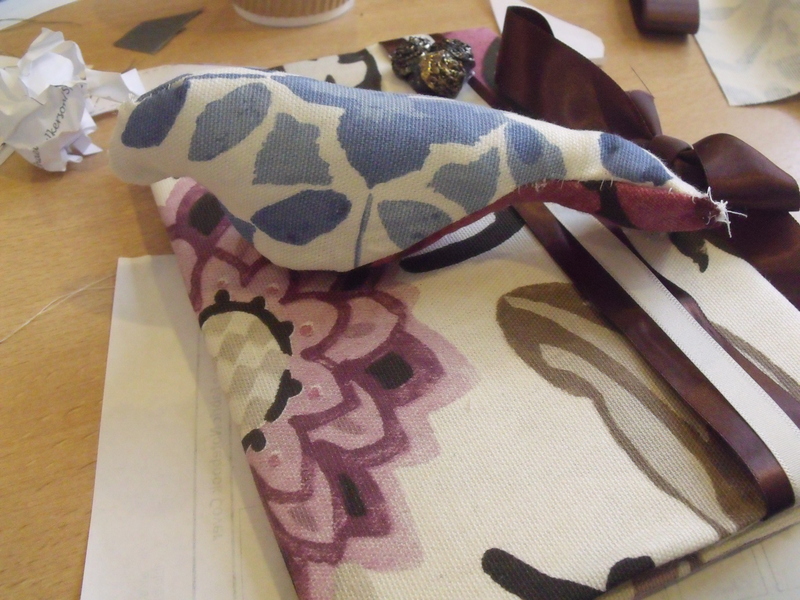 During the day, we created a book cover, and a fabric bird. The team were really helpful and willing to help us along the way and assured us that both would be easy to make and they were! We selected our own fabric and given a notebook to cover. 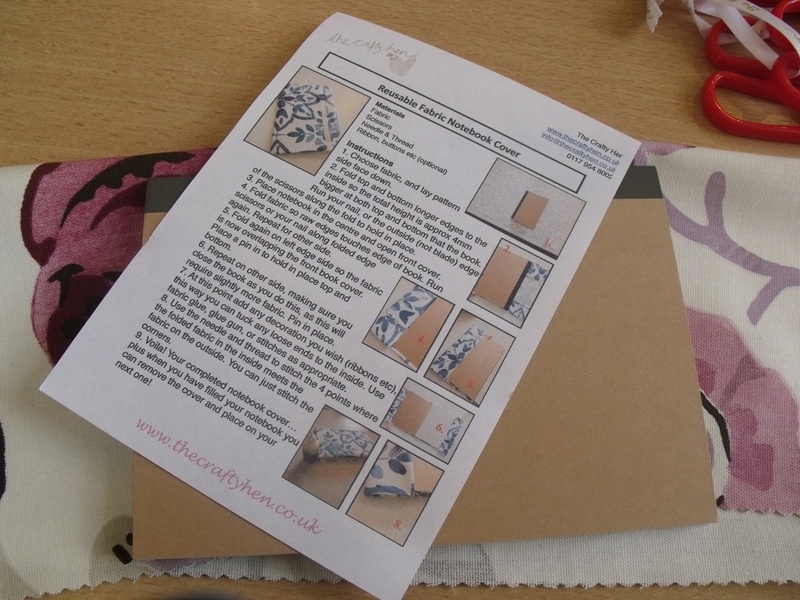 The book cover was really simple and only required a few corner stitches and is totally reusable! All it took was a piece of fabric slightly larger than the chosen book, a few folds, stitching and it's done! Instructions are below if you'd like to try yourself! I opted for a tie together bow to keep my book cover shut, then became a button hoarder and glued several in a cluster on the top of my book as well as two on the ribbon. I couldn't not use them they were beautiful! 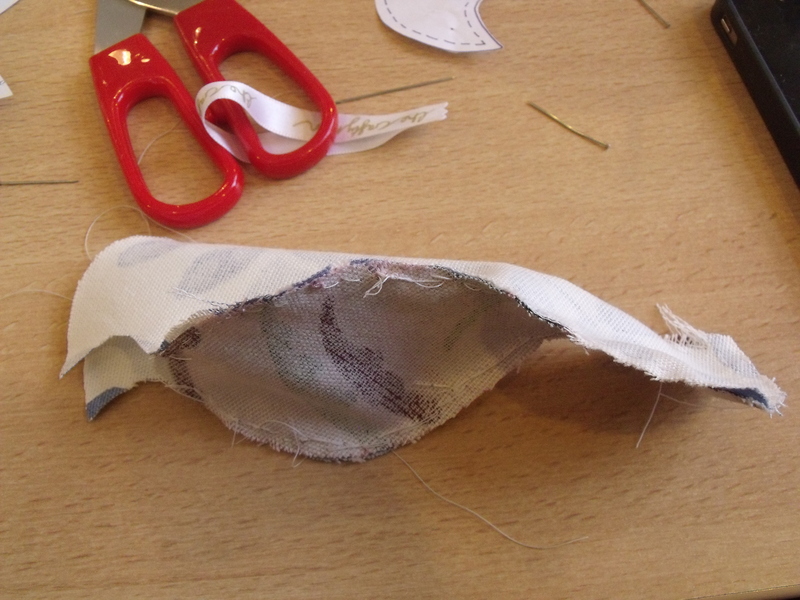 Considering I've not properly sewn since school I was pleased with the outcome! 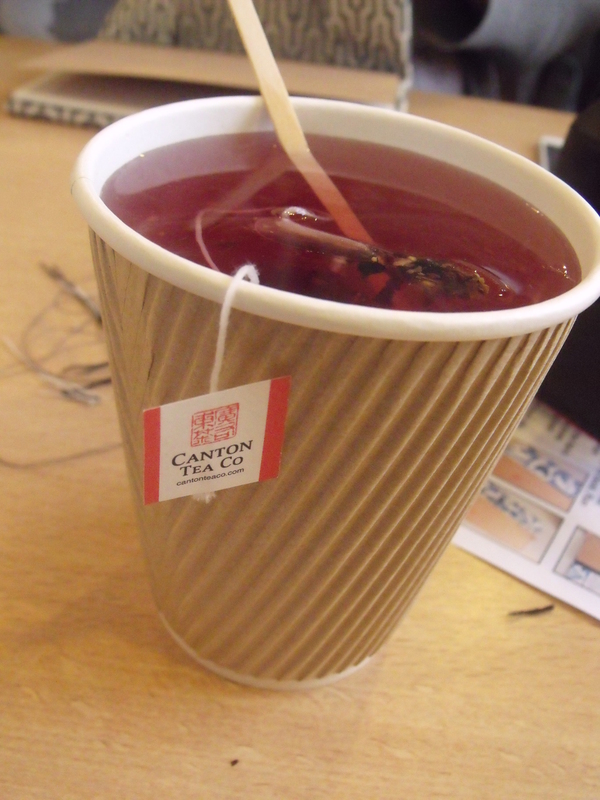 Then came a tea break, with tea supplied by Canton Tea co. I 'm assuming the cup I had was a Red Berry and Hibiscus tea. It was absolutely stunning. I can't describe how fruity this tea was and possibly one of the best I've tried as far as fruity flavored teas go! Then came the bird. The bird which made us laugh, feel frustrated, and happy all at the same time. During this I didn't take many photos because I was busy trying to create it, but one big mistake I did included stuffing the bird without turning the fabric inside out, and not to mention sewing the whole thing shut at one point without stuffing the bird. Oops! 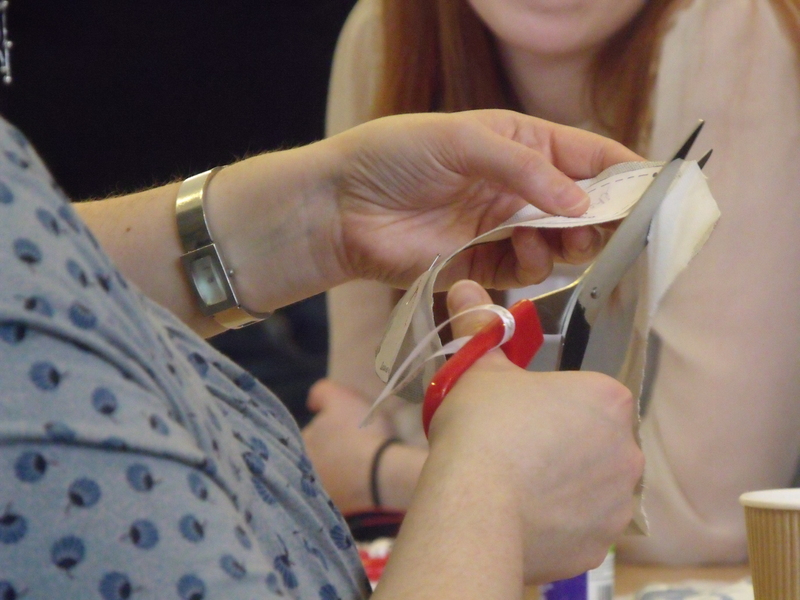 But I eventually created the bird, which unfortunately looked more like a seal! But I was proud of my creation either way. It's fascinating that this is blind fabric, it's incredibly durable, soft and easy to manipulate however you want so it can be easy to clean and turn into blinds or recycled to create exciting things such as these after you're done with your blinds. 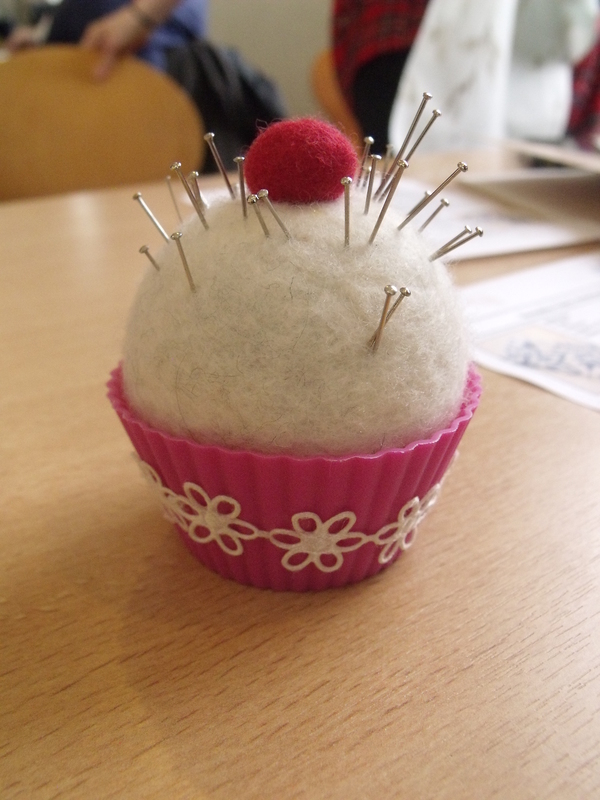 I had a great afternoon chatting to other bloggers and getting crafty. We got to take home a bag made from the fabric and a Yankee Candle Tart! Thanks to all involved creating this exciting day!